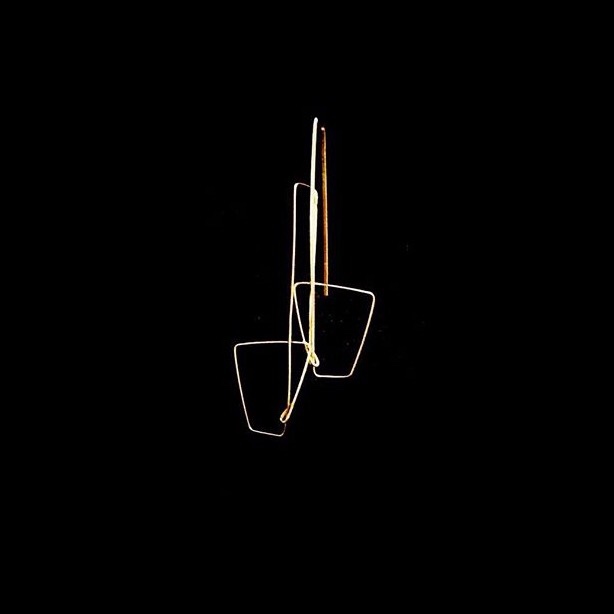 Gold-filled wire earrings from Rachel Rochford Jewellery's Classic Collection. 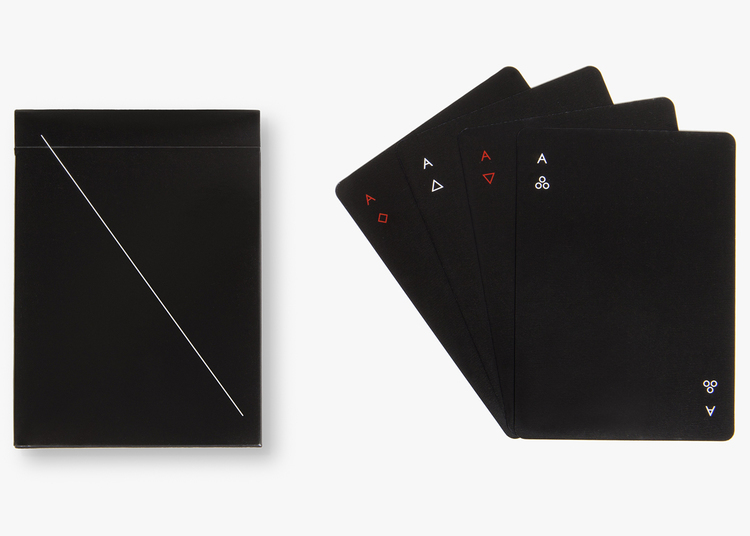 Minim is a beautifully simple deck of regulation playing cards from Joe Doucet x Partners for Areaware that strips the traditional recognisable symbols found on a pack of cards to the bare minimum. The idea behind the design was to see how much could be removed while maintaining a "playable" pack. In the place of ornate and figurative depictions, pared down, geometric forms were used. As it is a requirement that the backs of regulation playing cards be marked, Doucet did so with just a diagonal line. The cards are manufactured from sustainably harvested card stock and vegetable-based inks are used in their printing. 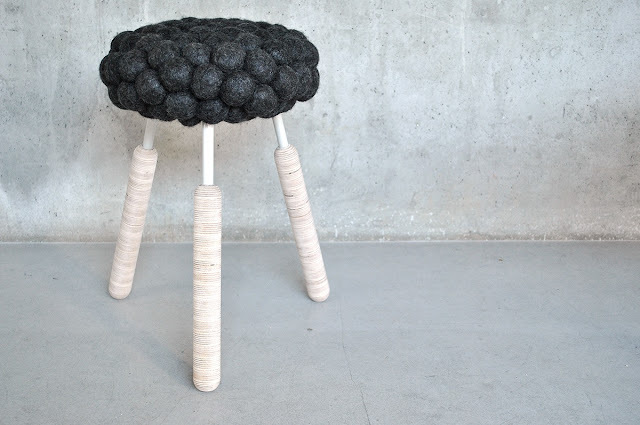 The Black Sheep Stool is a prototype from Swedish designer Hanna Bamford. Conceived during her studies at the Lund School of Architecture and with the description of a person who stands out from a crowd as the starting point, Bamford uses the product derived from black Gotland sheep to make this tactile and striking piece of furniture. One hundred balls of wool were washed, felted and formed into the seat of the stool. The Block collection bench from Los Angeles-based design studio Sitskie Furniture is made up of slats of wood which, when a weight is applied to them, move and compress to conform to the body, thereby providing support and comfort. 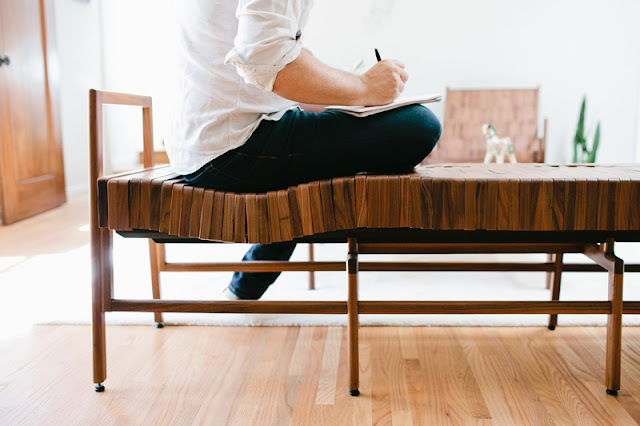 Each bench is made by hand in Los Angeles, from FSC-certified solid domestic hardwood. We have a love of metallic hardware and structured minimalism, so Future Glory Co.'s Rockwell Collection of handcrafted, Horween leather bags checks a lot of our boxes. 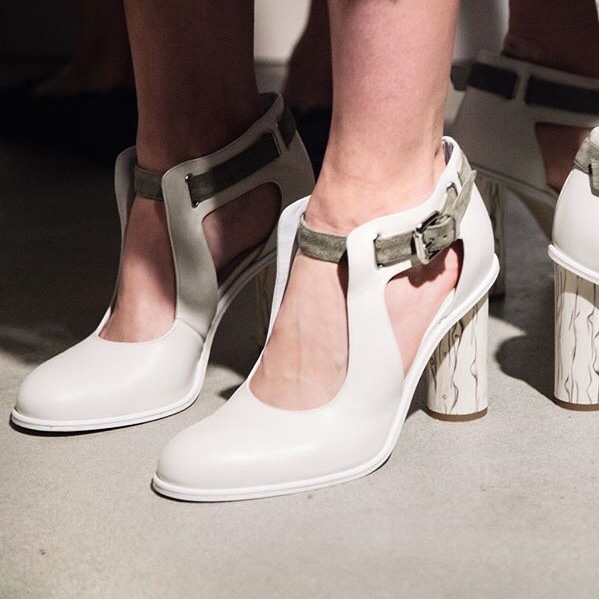 While the architectural bags are now made in San Francisco, the name of the collection refers to the company's beginnings at North Rockwell Street in Chicago. The business is big on social change and certain products are made in conjunction with an apprenticeship program that is geared towards helping women get back on their feet while a portion of all proceeds are donated to local organisations dedicated to rebuilding the lives of women. Whether you intend it or not, as with your clothing choices your choice of jewellery says a lot about you, and this non-verbal form of communication was the catalyst for this new collection from Bermuda-based jeweller Eleanor Patton of Bermuda Rocks Jewellery. Patton was curious about the reasons why people wear jewellery and how it is used to communicate. The collection is based on a clever feature that allows the wearer to interchange the various components of the design with 'base' pieces to create earrings, a necklace, a ring or a bracelet. 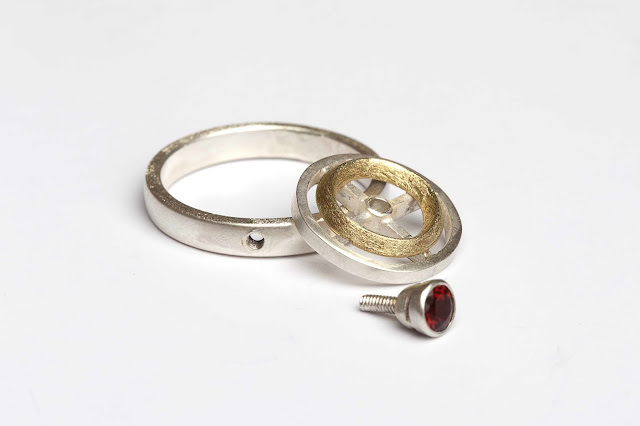 Each piece is anchored by small stone set screws that can be disassembled and reassembled as a different piece of jewellery or with a different gemstone. The curving lines of the design have an art deco feel, but the inspiration for the pieces is in fact based on the abstract geometry of the lens of the Gibbs Hill Lighthouse in Bermuda as Patton felt the illuminating quality of the lighthouse was synonymous with the projection of one's image. 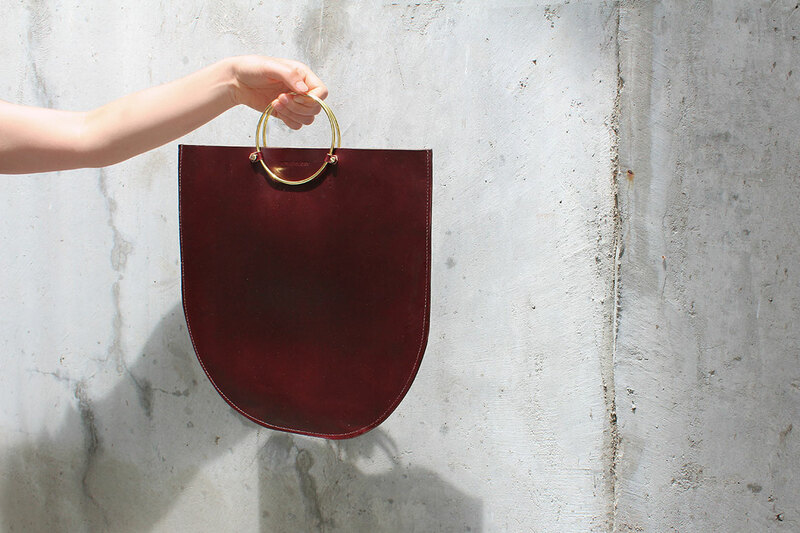 As always, Patton's pieces are handmade from ethically-sourced materials. 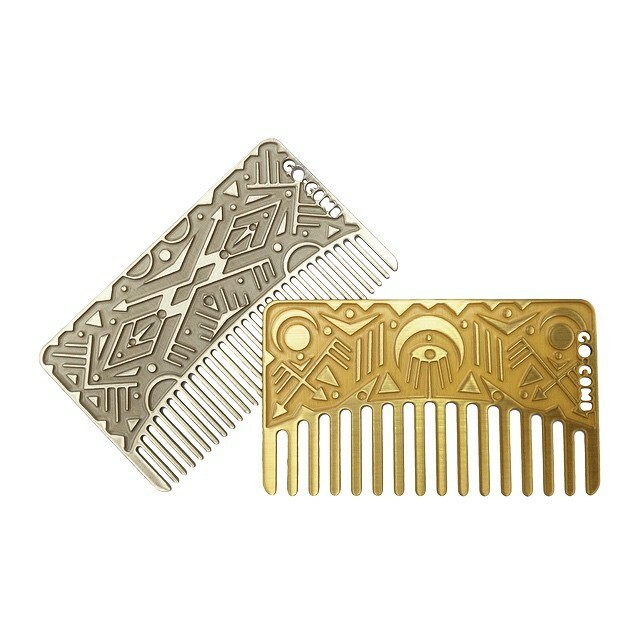 We love it when someone takes something lowly and utilitarian and creates a thing of beauty like this the credit card-sized go-comb. Small enough to fit into most wallets, the comb is lightweight and waterproof which makes it a functional as well as aesthetically pleasing. The go-comb is unisex and can be personalised. 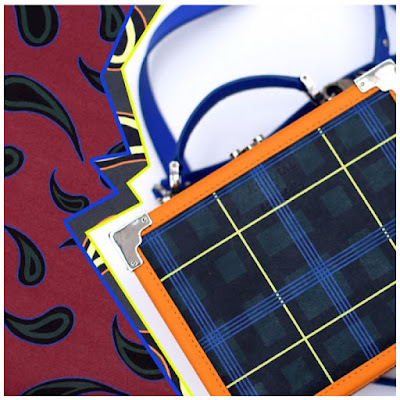 During London Fashion Week last September, classic English luxury accessories brand Aspinal of London released their collaboration with Yasmin Sewell's French label Être Cécile with a launch at Selfridges department store. The collection includes five key bag styles including the Mayfair bag and the mini trunk clutch and juxtaposes the classic chic of Aspinal with the bold and witty aesthetic of Être Cécile by blending the best of the two brands. 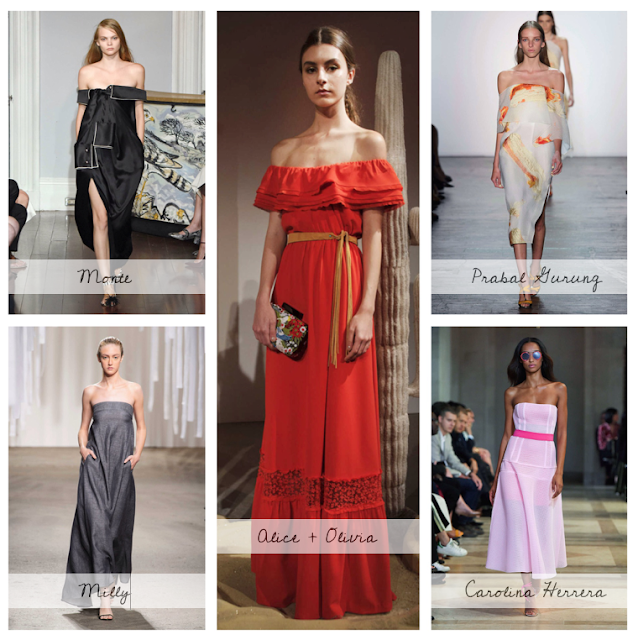 The Être Cécile team selected their favourite styles from the Aspinal's collection and re-worked them as an extension of Être Cécile's AW|2015 collection. The bags feature contrasting panels of colour in calf and rubberised leathers and soft napa leather printed in plaid, all applied in a disproportionate scale with bold 1990s inspired graphics. The result is a fresh and fun departure from the style for which Aspinal of London is better known. Joe Doucet x Partners have designed this concept Coke bottle in honour of the 100 year anniversary of the iconic vessel. 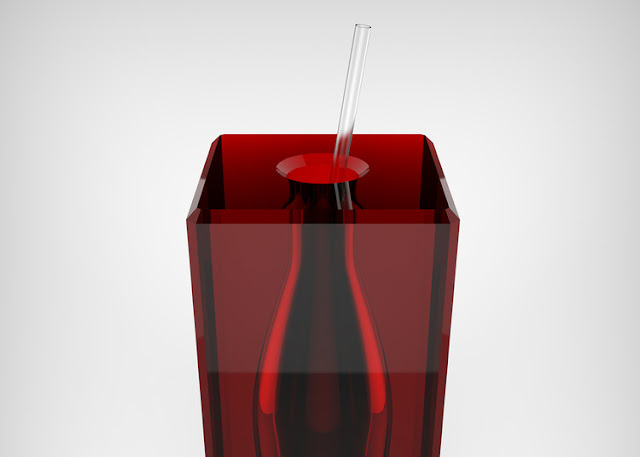 Keeping the traditional red and white colour scheme, Doucet created a hollow block of glass with a stylised version of the curvy form that is only visible when filled with Coke. 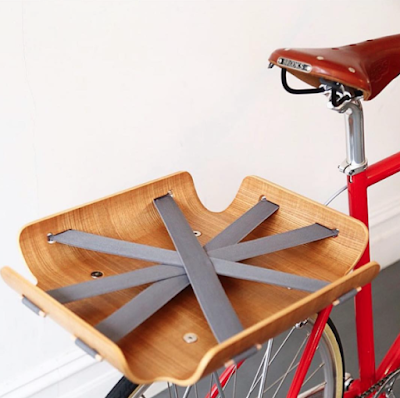 We love this super sleek bicycle basket which is made from five sheets of Ash wood veneer that have been hydraulic pressed for strength and stability. Called the Bent Basket, integrated elastic straps and a low profile allow complete versatility while transporting your things. Started as a university design project by award-winning designer Faris Elmasu in 2010 the basket was refined and improved and has put into production five years later. 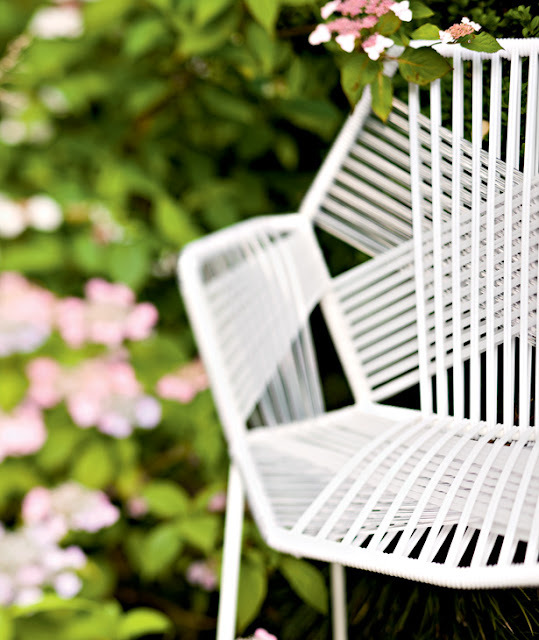 This throwback from 2008 is the Tropicalia chair designed by Patricia Urquiola for Moroso. First presented by Urquiola at Moroso's Little Wild Garden of Love in Milan, the chair is based on a tubular steel or PVC frame of her Antibodi chair but we think this is a vast improvement on the original. Modifications have been made to the chair's body with the addition of wrapped cords made from either thermoplastic polymer threads, polyester cords or leather which manage to maintain the three-dimensional geometry of the original while adding structural and graphic elements.